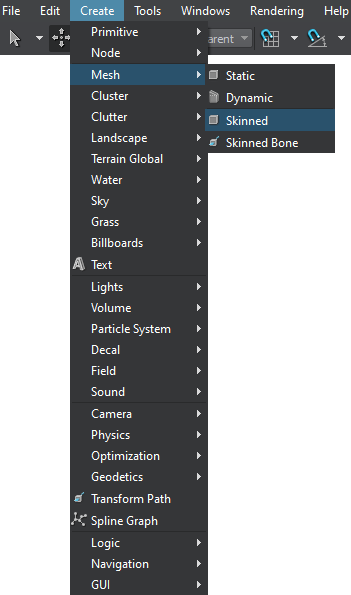 On the Menu bar, click Create -> Mesh -> Skinned. Choose the mesh in the World Hierarchy window and go to the Node tab of the Parameters window. 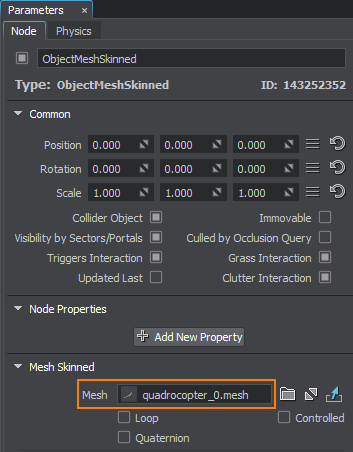 In the Mesh Skinned section, choose the path to the new .mesh file in the Mesh field. In the Mesh Skinned section, choose the path to a new .anim file in the Preview Animation field. Toggles the dual-quaternion skinning mode on and off. The dual-quaternion model is an accurate, computationally efficient, robust, and flexible method of representing rigid transforms and it is used in skeletal animation. 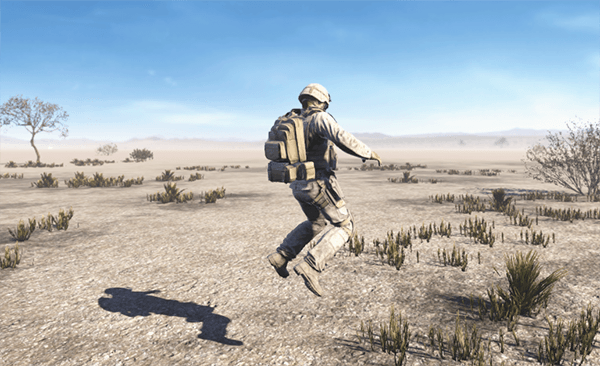 Path to a file with animation (.anim) to be played.